This post is done by *greenphantom* over at filehaven, he have given is ok to let me post his thread over at sci-fi donkey. I will try to update this thread when *greenphantom* update his posts, you that read this are also welcome to help out if you want to. There are an estimated 10 billion galaxies in the universe, each with an average of 10 billion stars being orbited by countless planets. Are we really alone in such a vast universe? Is Earth already being visited by beings from distant world? In this collection, we will explore such issues through a series of documentaries as well as the occasional movie that is allegedly based on true events. Review: See remarkable photos and film of innumerable UFOs observed around the world. Explore Project Starlight International, a million dollar laser project created to signal incoming spaceships. Analyze with experts one of the most celebrated UFO films and discover the real story. Hear the account of a forester who was confronted by a spaceship and aliens, and see the evidence that is hard to discount. Review: Is life on Earth a solitary and miraculous event, or a natural consequence of planet building? Life may have gained its first foothold on Mars and been seeded on Earth by a meteorite. Review: This documentary, made by respected film maker John Purdie, is a serious examination of the mysterious events which took place in Roswell, New Mexico, in 1947.
Review: Weâ€™ve all seen aliens â€“ in the movies at least. Now, hard scientific discoveries are making the case for extraterrestrials ever stronger. In our Solar System, warm oceans under the icy cover of Jupiterâ€™s moon Europa look like an ideal abode for life. Further afield, astronomers â€“ in just a few years â€“ have found more planets circling other stars than there are in the Solar System. And the raw materials of life are common in the Cosmos. Astronomers pursuing SETI â€“ the search for extraterrestrial intelligence â€“ are increasingly hopeful of picking up that first interstellar message. Review: Crop circle creators have revealed their secrets on a new video. The film, Circle Makers, produced by former circle maker Matthew Williams, features 11 experts being interviewed on camera, talking about their experiences. The film explores the man-made aspect of crop circles, but it also demonstrates how even the man-made formations appear to attract paranormal activity. 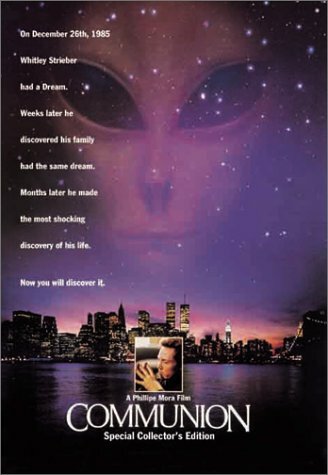 Review: On December 26, 1985, Whitley Strieber had a dream. Weeks later he discovered his family had the same dream. Months later he made the most shocking discovery of his life. Now you will discover it. Based on a true story. Review: Where do we come from? The award-winning The Cosmic Link takes us on a fascinating odyssey, in the company of some world-renowned scientists whose discoveries into the natural world are providing some clues to this age-old question. Could the first life forms, which appeared some four billion years ago, have originated in organic cosmic dust? One thing is certain: all life on our planet shares some of the same genetic code and developed from the same evolutionary tree. But could life have evolved in a completely different way? What if there were living organisms with a genetic structure entirely unlike ours? The key to this mystery can be found in space. 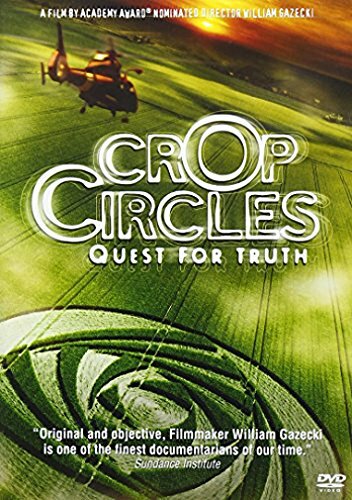 Review: Crop Circles: Quest for Truth is a compelling and provocative feature-length documentary full of never-before-seen footage and interviews with leading Crop Circles researchers and scientists, some of whom agreed to be on camera for the first time. The film is an in-depth examination of prevailing theories about the origin and nature of Crop Circles and the possible implications for us and for the future of Planet Earth. Review: This 2 hour video is a distillation of over 120 hours of video interviews made by Dr. Steven Greer. Dozens of highly credible military and government witnesses discuss UFO events and projects they have worked on, with introductory and overview commentary by Dr. Greer. The video is divided into sections and is an excellent item to have and show to others, to get a full understanding of what the Project is about. Review: Overview of the alien abduction mystery. 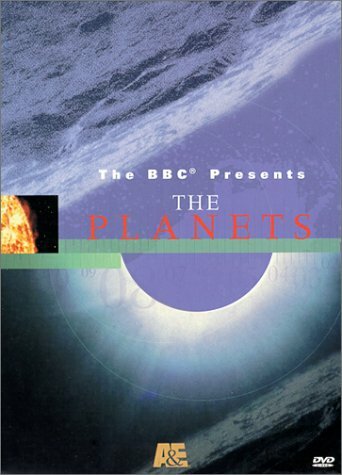 Possibly the most comprehensive program on the subject ever produced, it features interviews with the likes of Nick Pope, Budd Hopkins, David Jacobs, John Mack, Whitley Strieber, Travis Walton, and Peter Robbins. There's also a rare interview with Linda Cortile, and footage of one of Budd's Support Group meetings. There are also interviews with Philip Klass, Dr. Chris French and Dr. Susan Blackmore. Review: Are extraterrestrials behind phenomena such as mysterious lights in the sky, abductions and crop circles? Review: Unidentified Flying Objects have a compelling attraction for anyone who has experienced them directly or indirectly. This documentary takes a look at the evidence - Is E.T. Here? Review: Modern-day planet hunters explore new planets through original animation and NASA and Hubble telescope imagery. Review: Alien Neighbors reviews recent discoveries of planets around other stars, possible oceans on Jupiter's moons and other thought-provoking ideas. Narrated by Michael Dorn. 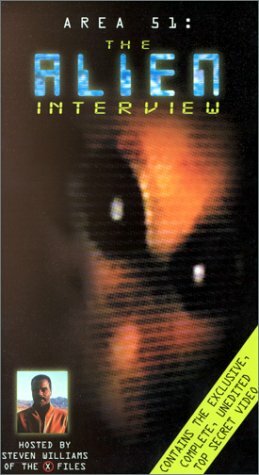 Review: So, what really happened at Roswell? Was the strange object really just a harmless weather balloon, a secret military aircraft...or, was it the most significant scientific finding in history? Review: David Sereda presents NASA footage that reveals remarkable discoveries in this two part series. He proves how the footage shows intelligent craft through the process of elimination of other plausible phenomena; fundamental principles of faster than light technology and corroborating evidence found on the disc shaped objects; links to the supposed spacecraft and an identifiable star system. Starring David Sereda and featuring television and film celebrity Dan Akroyd. Review: This film recreates the strange events which happened November 5, 1975 in the town Snowflake, Arizona. Travis Walton works as a logger in the woods. When he and his colleagues drive home after work, they encounter an UFO. For the next five days Travis disappears and his colleagues are accused of murder. When he reappears, first he didn't remember that he was gone, but in time the terrible memories come back... Based on a true story. Review: What really happened in Roswell, New Mexico in the summer of 1947? Did a flying saucer crash in the vast desert scrubland? The initial Army Air Force press release claimed they had recovered a flying disk. But a day later, the story dramatically changed -- now they called it a weather balloon! In 1987, secret documents surfaced indicating the existence of the "Majestic 12" -- an elite group of scientists and military and intelligence officials, allegedly brought together by President Harry Truman. Did the MJ-12 truly exist? If so, did these men forever trivialize the most talked-about UFO incident in history, as well as all UFO sightings thereafter? Review: Today, it is widely accepted that many formations are manmade. But others resist attempts to explain them by conventional means. Crop circles remain, in large part, a mystery. Review: Once-secret files help experts investigate some of the most puzzling paranormal incidents reported in the former Soviet Union. Review: From the History Channel. In modern times, the first UFO was reported in 1947. But many people believe that aliens have been among us for thousands of years. And for evidence, they point to certain ancient texts and monuments. Do they, in fact, tell the story of extraterrestrial contact eons ago? Join the worlds leading UFO experts including the authors of the bestselling Alien Identities and Fingerprints of the Gods for an extraordinary investigation that journeys through human history in search of evidence of alien contact. Why do so many structures, from different societies worldwide, seem to point towards the same spot in the skies? What other possible explanation is there for the frequent references to strange flying objects in ancient texts? Do some clues point to the presence of aliens among the ancients themselves? With dramatic re-creations, footage from around the world and inspired scholarship, ANCIENT ALIENS attempts to uncover the truth. Review: From ancient cave paintings to the ongoing efforts to make first contact, this is an authoritative history of UFO sightings. Review: For those who study the UFO phenomenon, "UFO Hot Spots" are places around the globe known for a long history of UFO sightings and reports. From Brazil to Mexico, from Washington State to Florida, multiple witnesses, including air traffic controllers and even the military, confirm that something unexplained is repeatedly happening in the night sky. Tales of alien abductions, bizarre and chilling photographs of UFOs, and hours of videotape all abound as we search for UFO Hot Spots. 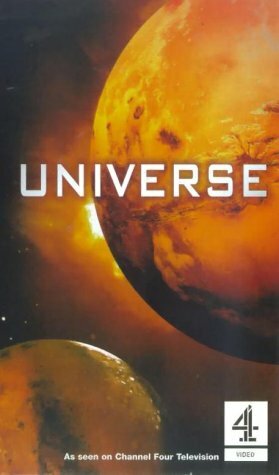 Review: Has the universe always existed? How did it become a place that could harbor life? What was the birth of our planet like? Are we alone, or are there alien worlds waiting to be discovered? NOVA presents some startling new answers in "Origins," a groundbreaking four-part NOVA miniseries hosted by dynamic astrophysicist Neil deGrasse Tyson, Director of the Hayden Planetarium at the American Museum of Natural History. Tyson leads viewers on a cosmic journey to the beginning of time and into the distant reaches of the universe, searching for life's first stirrings and its traces on other worlds. Where & how can these great vidz be DownLoaded ? Have you not got emule matey?? ?